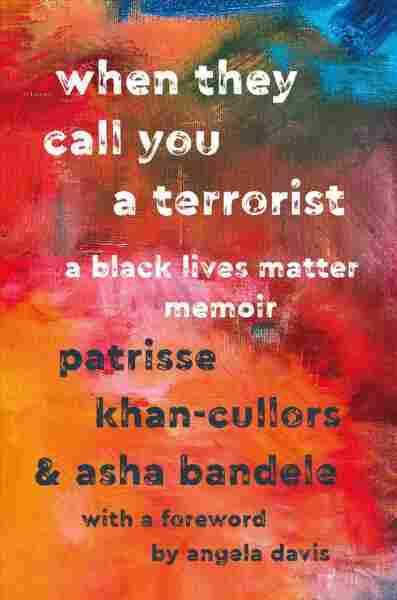 Labeled A 'Terrorist,' A Black Lives Matter Founder Writes Her Record Patrisse Khan-Cullors' new memoir recalls the female origins of the movement and the "deep contradiction" of being labeled the enemy. Black Lives Matter co-founder Patrisse Khan-Cullors, speaking at a November 2017 engagement in Brooklyn, N.Y., has released a new memoir. In recent years, these three words have become part of your visual landscape: Black Lives Matter. You'll see the phrase on T-shirts, on yard signs, on billboards in front of churches and other organizations. You may also see other T-shirts and signs in response, proclaiming "all lives matter" or "blue lives matter." It's easy to forget that a phrase that has become so ubiquitous came about just a few years ago in 2013, by the efforts of three women: Alicia Garza, Opal Tometi and Patrisse Khan-Cullors. Their hashtag became an organizing tool to express their frustration, anger and pain over the violent deaths of unarmed black children and adults. Khan-Cullors remembers when she first realized the power of the three words. "I was watching this young black woman stand in front of a tank in Ferguson with a Black Lives Matter sign," she says. "I said, 'How did this get to Ferguson? Oh, like, this is now in the public imagination.' Folks don't even know where it came from, but they're using it, and they're understanding how important it is. And she was this thin woman — she had the sign, and she was yelling into that camera, like, 'Look at this, look what's behind me. Where are we? We're in Ferguson, and there's a tank on the street.' And it was this very, very powerful, visceral moment for me." 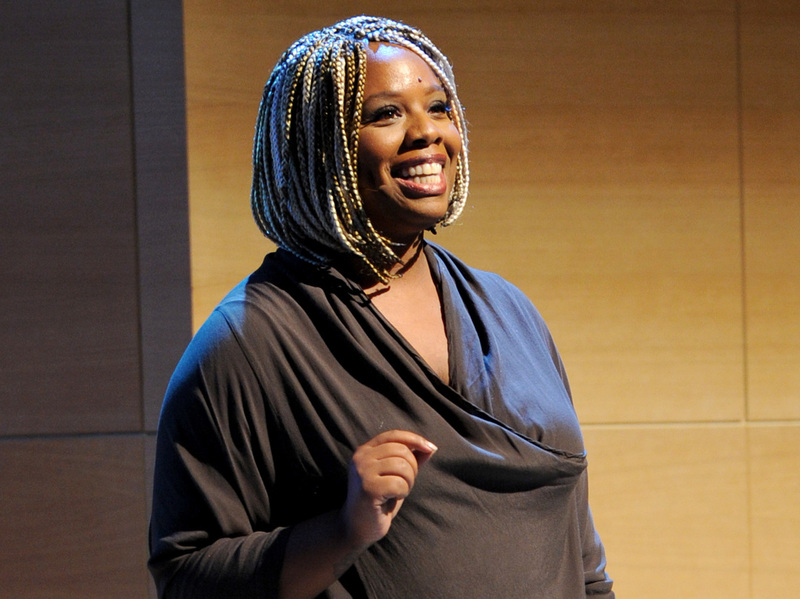 Patrisse Khan-Cullors describes how all this came about in a new book, When They Call You A Terrorist: A Black Lives Matter Memoir, co-written with journalist asha bandele. We spoke at NPR headquarters in Washington, D.C.
For all the reasons why it's been a struggle for people to believe that it's been started by women. Honestly, there's some people I've talked to who've been in shock: 'Oh, I had no idea — I thought it was a man who started Black Lives Matter.' I think it's important for the legacy of black women who have been at the helm of movements to identify who the founders of something are. It's why it was so important that there was an intervention when Alyssa Milano started Tweeting #MeToo, and Tarana Burke had created #MeToo 10 years ago, right? There's a way in which it is easy to literally steal black women's work and not feel anything about it. And I think it's important because we've laid a foundation around challenging patriarchy as part of the movement, and I don't think that three men would have had that at the center of their movement for black people. The psychosis of whiteness is that it centers itself always. And when it is de-centered, when a group of people — but specifically black people, I think there's something about black people being visible or black people getting some threat of power that shakes up white people and their whiteness, that shakes up their experience of what should be true. I think there is a deep desire from even well-meaning white people to believe that they're not racist. But the reality is if you live in this country, if you're born and raised as a white person, then you most definitely are racist, and you have to contend with that. And I think Black Lives Matter puts it in peoples' face to deal with not only the ways in which they benefit from whiteness and white supremacy, but deal with the ways in which black people actually must be free. And I think that's actually hard to contend with. It's unequivocally not true. Black Lives Matter is really Black Lives Matter Too. It is not a phrase that is about excluding — it's a phrase that is about focus. We are focusing on black people because time and time again, we become the subjects of neglect. The first time I would see our organization, and me, and other people be labeled as terrorists, and then our faces be put on national television, was on Bill O'Reilly's show when he was still on air, would be scrolling through Breitbart. And knowing that these right-wing pundits had audiences ... it was painful because it was such a lie, but it was also scary, because the impact of being labeled as terrorists and receiving death threats — both in my email and on phone calls — really started to shape my understanding of how serious, how unsafe I was, how unsafe I was out in the world when all I ever wanted was safety for myself and black people. And that was such a deep contradiction. Gemma Watters and Ammad Omar produced and edited this interview for broadcast. Patrick Jarenwattananon adapted it for the Web.